​Newcastle United manager Rafael Benitez has hinted he is willing to stay on at the club and sign a new contract if the club do more in future transfer windows so they can start competing for trophies. 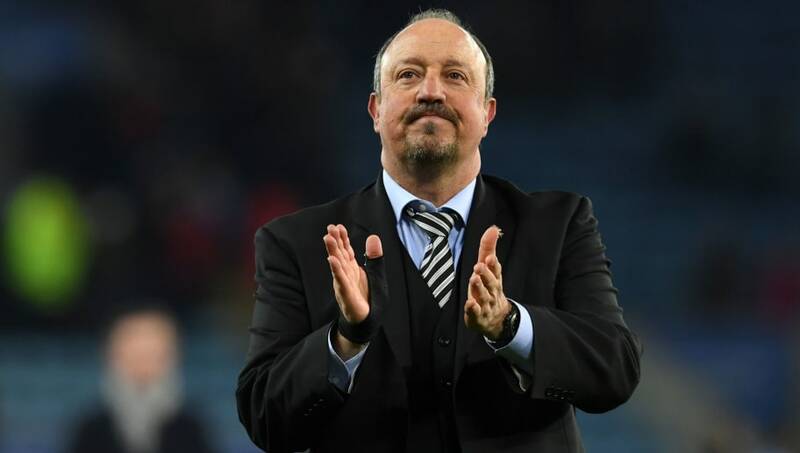 Newcastle all-but assured their Premier League status for next season with a 1-0 victory over Leicester City on Friday night and, with their top flight position secure, Benitez is now looking ahead for himself and the club. The Spanish boss revealed in his post-match interview with Sky Sports that, if he is to stay in the North East, he wants a team that is able to challenge for honours. The 58-year-old said: "I have been trying to win titles everywhere, in different countries, and we have to have a team that can compete. "We need to be stronger. We have the city, we have all the potential. The city, the club, everyone in Newcastle is supporting the team so it's massive. I'm not saying [spending] £200m but doing a little bit more. "You have to do your job but obviously you need some help. We are thinking about the future but we cannot go too much further. This result could change a lot of things and hopefully will change a lot of things but still, we have to do the right things at the right time. Money has been a constant issue for Benitez in his time at St James' Park with owner Mike Ashley not willing to spend vast sums on new signings. Ashley put the club up for sale in October 2017 but has yet to find a suitable buyer and it has meant Benitez has often had to sell players before he can buy - or attempt to secure loan deals and free transfers to bring new signings in. The Magpies did, however, recently break their transfer record for the first time since 2005 with the £24m signing of Paraguay international Miguel Almiron from Atlanta United, which may give Benitez belief that the club will be willing to spend more money in the future. The Newcastle fans who travelled in vast numbers to the King Power Stadium last night will be desperate to keep their manager and, if the board finally start releasing extra funds, it looks as though they may well get their wish.